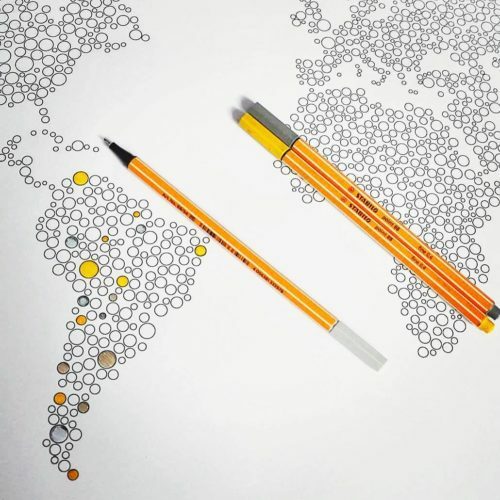 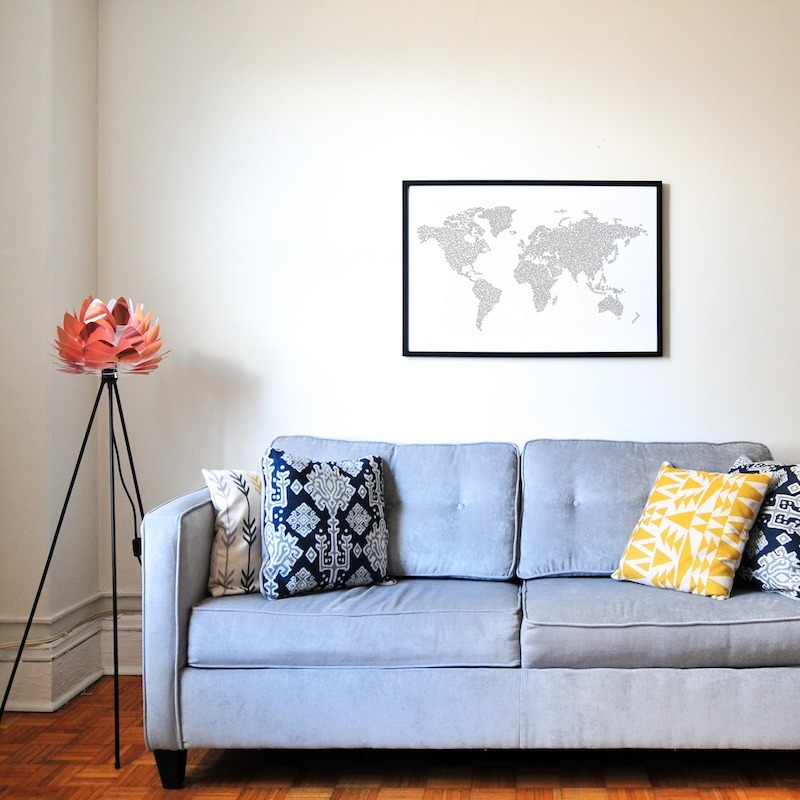 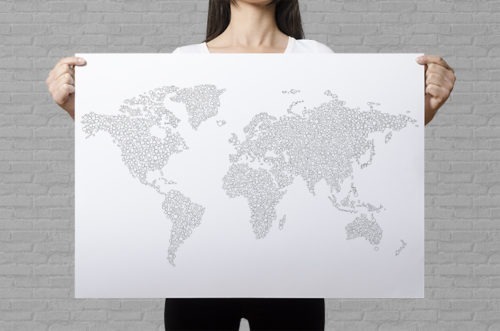 ​ This giant world map coloring page guarantees hours of coloring and makes an amazing wall art. You can use it to keep track of your travels as well! This poster is a perfect gift for travelers and older children. 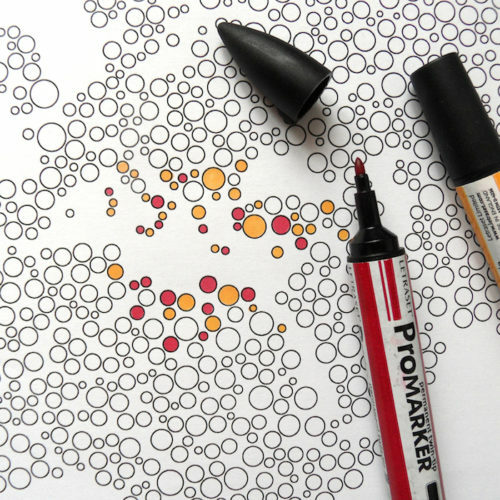 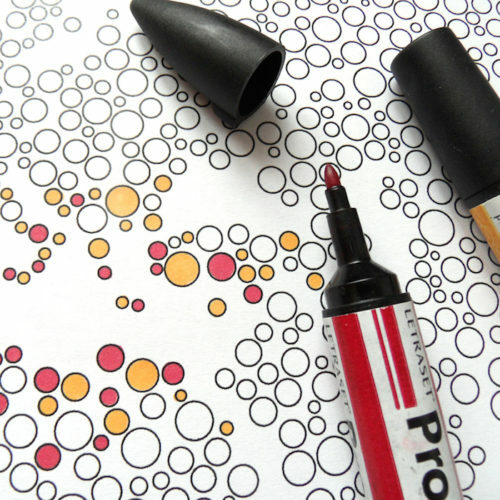 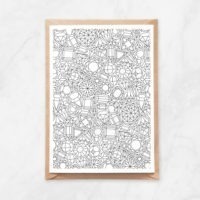 It works both as a detailed coloring page, as well as minimalistic art print. 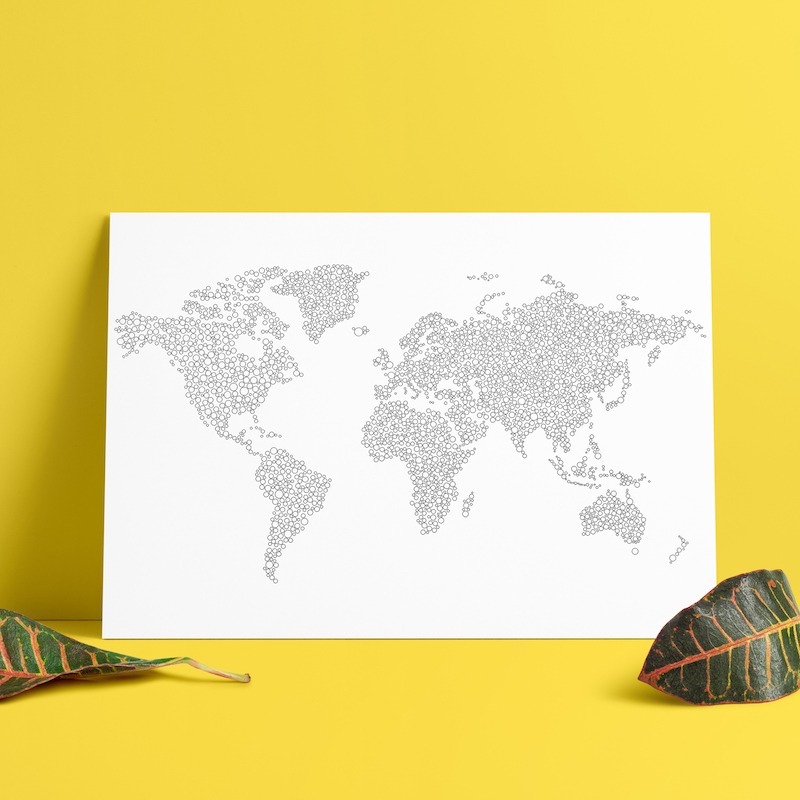 Each of the continents is illustrated with a circle pattern.